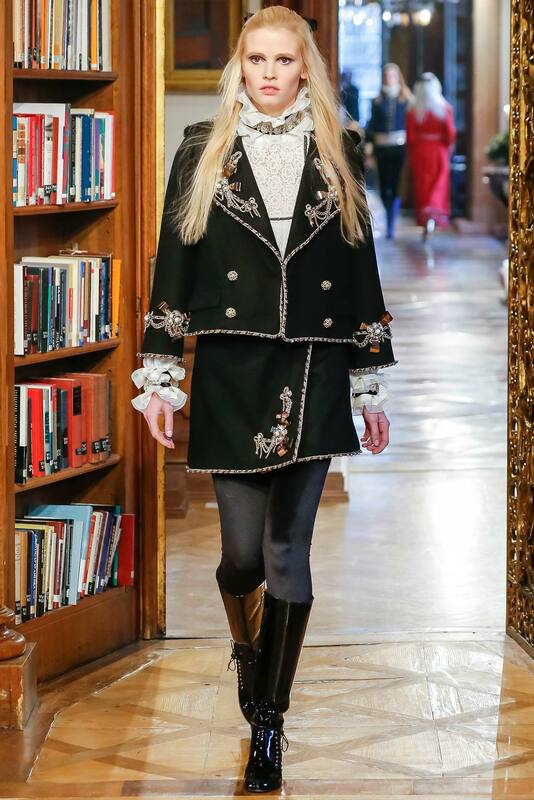 Last week, in the exact day that the VS Fashion show took place in London, Karl Lagerfeld presented his Métiers d’Art collection in an 18th century castle in Austria, more exactly, in Schloss Leopoldskron. My first impression when seeing the pictures, was that the atmosphere of the setting was extremely cozy, warm, perfect for a snowy winter in the mountains. 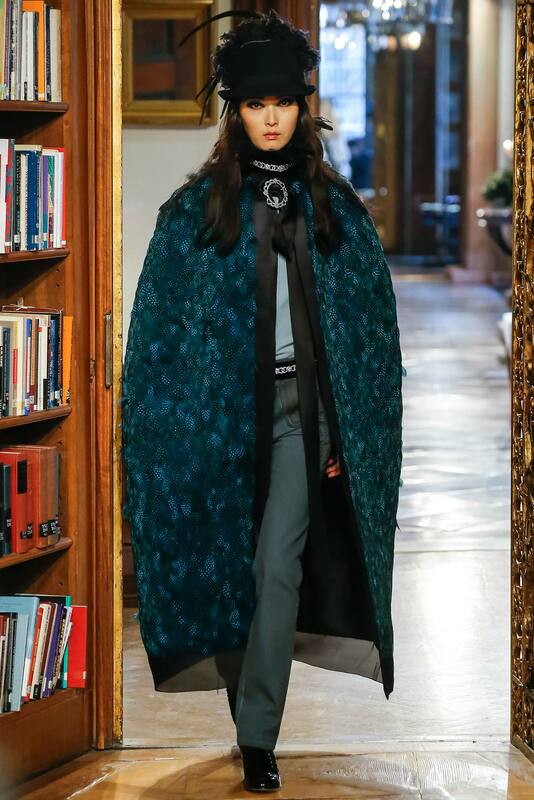 The pieces of the collection were lovely and special: coats, capes, knits, two pieces suits and some delicate evening dresses. All of them really made me smile and dream of a world in which, opulence meets good taste, women always wear beautiful clothing and know how to accessorize an outfit and where, less is more is just an old cliché, because, if you add some personal style and a bit of taste, the proper word for it turns into “luxurious”! Keeping the Chanel personal and unique touches and color frames, Lagerfeld added some new alpine elements. 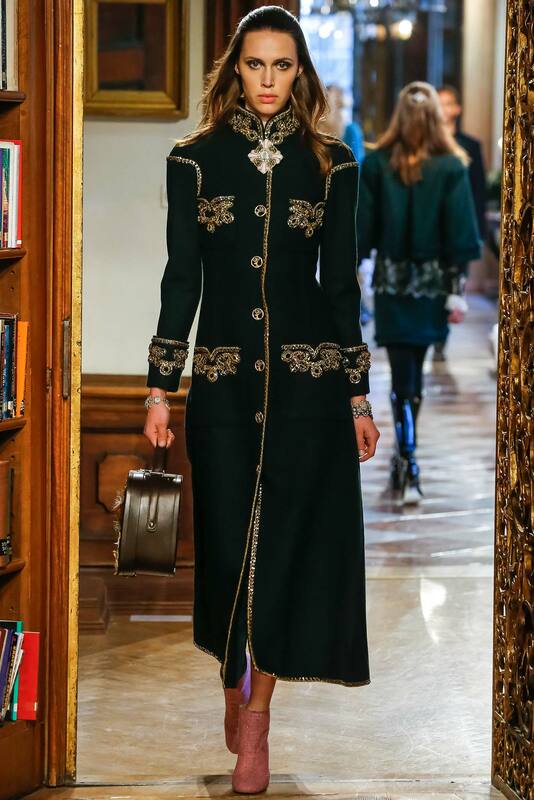 I truly loved the mix of fabric, from knits to chiffon, lace, tweed, cashmere, satin, all complemented by detailed embroideries and fine jewellery. Oh….and the hats….true works of art!! How extremely stunning is this ? White is for winter, right? You need statement necklaces when in an Austrian castle, right? In love with the grey coat! It was a real Métiers d’Art and a true enchantment for the eye. I`d love to wear them all!